British-born James Patrick O'Malley started off as a singer in the late 1920's before coming to the United States. 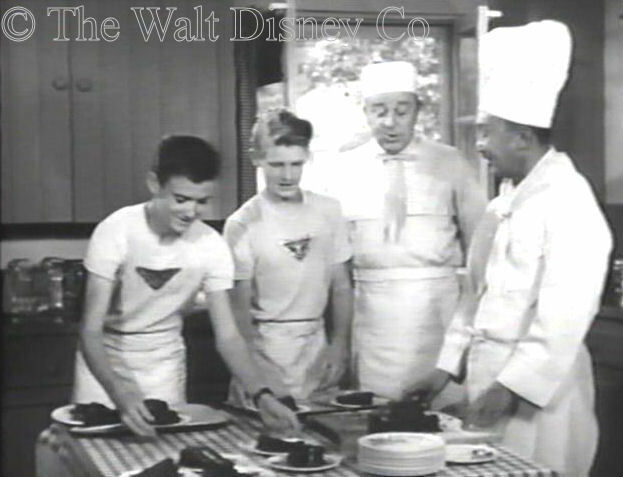 He had a long career on radio and Broadway, and in films and television, as a character actor, and worked on many projects for Disney, including all three Spin and Marty serials. Pat was born March 15, 1904 at Burnley in Lancashire, England. Of Irish name and Anglo-Irish ancestry, he nevertheless always spoke with the accents of his native country. He started his career in the mid-1920's as a singer in the music halls, the British equivalent of vaudeville. By 1930 he had become lead singer for the Jack Hylton Orchestra, billed as Pat O'Malley. Hylton brought Pat with him to the United States in 1936. Hylton soon returned to the United Kingdom, but Pat stayed. He found work in radio, but as a character actor, not a singer, and within a few years had migrated to Hollywood to try his luck in pictures. Pat appeared in a small role in Captain Caution (1940) under his usual billing, but switched to J. Patrick O'Malley to distinguish himself from the still-working silent film star Pat O'Malley. Later on, he would shorten this to J. Pat O'Malley. (To make matters worse, Australian-born actor John P. O'Malley was also active in the film industry at this time). After a few movies at Republic, Pat went to MGM for Lassie Come Home (1943), and some lesser films. He then had a year-long run on Broadway in 1944-45 with Ten Little Indians, the wildly successful stage adaption of Agatha Christie's And Then There Were None. As the number of films being made decreased sharply after WWII, Pat turned to voice-over work for the Disney Studio. 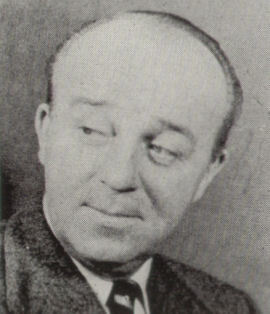 His first gig voicing an animated character was as Cyril Proudbottom in The Wind and the Willows (1949). He voiced four characters in Alice in Wonderland (1951), but it was the new medium of television that would become Pat's career mainstay. Starting with an episode of Stage 13 in 1950, Pat would appear in over one hundred different television series during the next thirty-two years, while still doing the occasional film or Broadway play. In the Disney serials, from the child's point of view, the adults were divided into three types: authority figures, who must be obeyed and respected; comical figures, who could be laughed at, and safely ignored; and the villain. Only rarely was an adult presented as a more complex or ambigous person, such as Ollie the Wrangler in Spin and Marty, or the Durango Dude in Corky and White Shadow. The Perkins role, of course, fell into the second category. Pat wasn't always known for comical characters, having played a variety of roles, including police inspectors and criminal types, on stage, radio, and television. The lighter parts, however, would predominate in his later career, though he would still occasionally play a villain or other roles on shows like Peter Gunn or The Twilight Zone. Pat kept his normal middle-class accent for the role, eschewing posh tones, since he knew that just about any English voice, save Cockney, sounds highbrow to American audiences. With a few choice phrases and mannerisms, O'Malley could evoke the American idea of a butler, though in truth, the role was actually that of a valet. 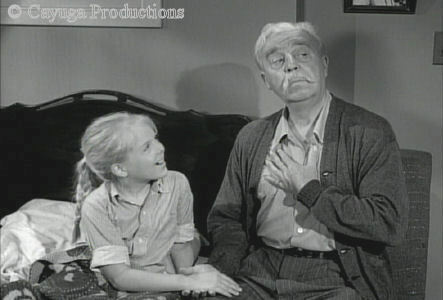 Pat's interaction with the child actors in the Spin and Marty serials was quite limited; he mainly played scenes with other adults, with Betsy the Mule, or with props like a telephone. A busy (and expensive) actor, he likely was employed for no more than a couple of weeks out of the two months these serials usually took to film. 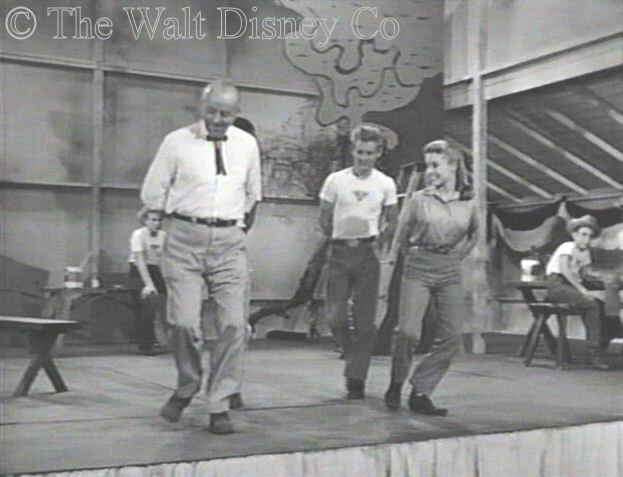 Pat continued working for Disney after the last Spin and Marty serial aired, but he was also very active as a guest star on other television shows. 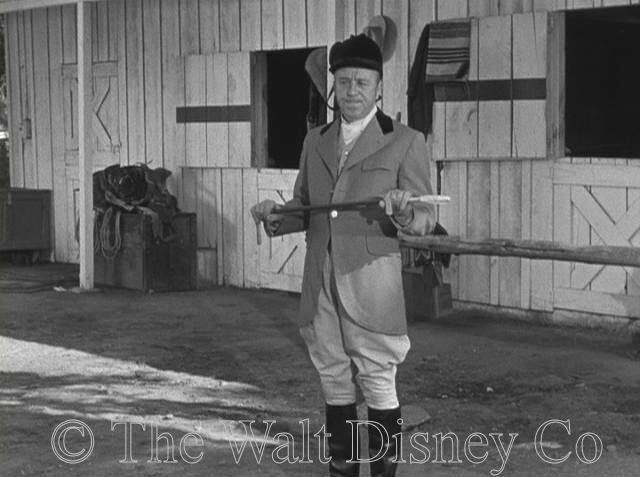 He did the multi-part Walt Disney Presents series on Swamp Fox (1960-61). He also continued to do voice-over work for animated films, such as One Hundred and One Dalmations (1961), The Jungle Book (1967), and Robin Hood (1973), and for the animated segment in Mary Poppins (1964). 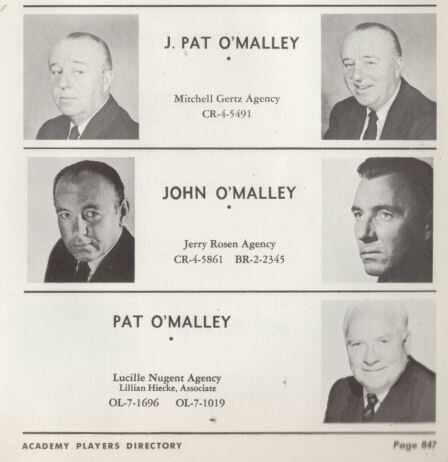 From the late fifties on, O'Malley seems to have guest starred at least once on nearly every show televised. He was able to mimic western and southern American accents, with varying success, for the western programs that filled television in the early sixties. His most well known recurring role was as Harry Burns on My Favorite Martian (1963-64), but he also had multi-episode runs on A Touch of Grace (1973-74) and Maude (1975-77). For most shows, however, he appeared as different characters on different episodes, generally, though not always, in comic roles. His final film role was The Gumball Rally (1976), while his final TV appearence was a two-part episode of Taxi in 1982. Pat lived in later years at San Juan Capistrano, California, with his American-born wife Madge, who perished in an auto accident during the 1970's. They had two children together, and by the time of Pat's final illness, two grandchildren as well. Pat later remarried to a lady named Fay, who was twenty-some years younger than him. Pat died from heart disease at Mission Hospital, in nearby Mission Veijo, on February 27, 1985.